Florida Fiduciary Wealth Management is committed to maintaining the highest standards of integrity and professionalism in our relationship with you, our client. We endeavor to know and understand your financial situation and provide you with only the highest quality information, services, and products to help you reach your goals. Fi-du-cia-ry: n – from the Latin fiducia, meaning “trust,” a person (or a business) who has the power and obligation to act on behalf of another and assumes a duty to act in good faith and with care, candor, and loyalty in fulfilling the obligation. Our motto is "Conservative Money Management". We research for the best investment strategy that will protect your funds. We understand that our clients worked hard to establish their wealth; therefore, our primary goal is to help preserve and increase their assets. 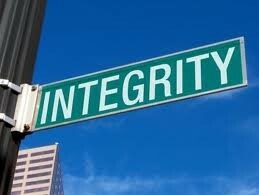 Fiduciary is not only part of our name...we live it every day. "We pride ourselves in striving to invest our clients' money like it was our own."